This post is going to have lots of spoilers. If you haven’t played any of the games or haven’t finished the third one yet and you plan to then you should stop reading now. I’m not going to give any spoilers or talk about the ending (see here for that), I just want to address the story and game mechanic changes from ME2 to ME3 and give my general impressions. You don’t have to play the first to enjoy the second, but it is a better experience having played both. The game is much better if you’ve played both 1 and 2. There’s two entire games worth of emotional investment in the characters and events. This is one of the few video game series where I’ve laughed so much, and it’s the only game I can think of that’s made me tear up. And ME3 did it twice. I have been consistently impressed and amazed with how many characters from previous game I ran into. I got to see how people I helped from both prior games had gotten on with their lives and what difference my Shepard’s actions had made in their situations. My only regret was that it’s been so long since I played the first game that I often had to be reminded (conveniently enough there was always an option via in-game dialog) who they were. One disappointment for me was how few crew from either the previous two games were available to return to my ship for use on missions. The extended dialogs available on the ship are great, but there are also some awesome lines available during the missions. Of course all of the ones that were most important to me were there, but after the wide selection available in ME2, the mission team selection screen seemed a little empty. For the most part, the combat in ME3 is the same as ME2. You have powers to set an ammo type, thermal clips to handle reloads, and a cover system. You are no longer restricted to certain weapon types because of your class though. Instead all weapons have a weight value, and the more you carry the slower your powers recharge and become available again. I really liked this as it let my Soldier Shepard load up on several different types of weapons to handle sniping, general combat, and close range situations, and accept a hit to how fast powers became available again. Had I been playing an Adept or something similar, I could’ve gone the other route and just carried the lightest pistol possible and had super fast power recharges. The weapon customization system has also a changed. You can add two upgrades to any weapon. Upgrades can be found on missions or purchased (either at the Citadel or through your armory once you’ve visited a Citadel store the first time). I especially liked that you could put a scope on any weapon and have a scope sight when you actually aimed it. For someone like myself, who’s not all that accurate with a sniper rifle, having a pistol with a scope and damage upgrade was really good as a high rate of fire rifle replacement. The pace of combat has sped up. Enemies will use grenades to force you out of cover (and vice versa), so tactical movement become much more important. Speaking of cover, I’ve read a lot of reviews complaining about the fact that going into and out of cover as well as jumping from one cover spot to another shares the same button as sprinting. While I got caught on that a few times myself, I didn’t find it frustrating. I imagine that has a lot to do with the fact that I don’t play shooters often. Mass Effect is a hybrid RPG/shooter (action?) game and as such doesn’t do either as well as a more specialized game does. Someone who doesn’t play a lot of shooters won’t notice the rough edges as much. I was really not happy about the addition of multiplayer to the game. It felt to me like something that EA was pushing so they’d have a way to add more revenue streams, like selling multiplayer maps. After seeing some of the videos I was a little less leary of the idea though, and I tried to keep in mind the lessons I learned from ME2 that the PR tone of a game often has little to do with the tone of the game itself (such as the aweful Jack promo videos). Just after the game released, there was a bit of drama related to War Assets versus Readiness where people were upset that you had to play the multiplayer in order to get the best ending. Basically BioWare designed the system so that for every fleet or unit you recruit to the effort to free Earth you get points. However the points are adjusted by a readiness percentage, with the idea being that the more combat practice units get the more effective they’ll be. This incentivises people to play the multiplayer, which a lot of people didn’t want to do. For myself, I had planned to give the multiplayer a shot, and I’m super glad I did because it turned out to be a lot of fun. How much fun? My final playtime for the single player game was roughly 32 hours. My overall playtime is 66 hours (or at least it was when I wrote this), and I’ve been continuing to play even after beating the game when my Galactic Readiness doesn’t mean anything. I’m enjoying it so much because it’s co-operative multiplayer not competitive. You’re on a four person team fighting through 11 waves of enemies. You can revive fallen comrades for a short time and anyone who gets killed before they can be revived automatically revives between the waves. An interesting side-effect of playing the multiplayer is I’ve gotten a chance to play the non-soldier classes, and this has started me considering additional play throughs of ME3 to try out the other classes in the full game. If you’ve loved ME1 and/or ME2 but haven’t picked up ME3, you should. I know there’s a lot of drama around the final minutes of the game but that’s 15 minutes out of 32 hours, and even then it’s a matter of personal taste. Lot’s of people like the ending, lot’s of people don’t, but there’s only one way to find out for yourself. December is done and 2010 along with it. Seems like a lot of people are happy to see 2010 go, but the last twelve months of gaming here in Kae-land have been pretty good. There were four MMOs scheduled or rumored for 2010 that I was keeping an eye one. The game launched on time and pretty smoothly. At least smoothly enough that I don’t remember encountering any problems eleven months later, unlike Anarchy Online’s launch which I still rememberyears later. The game had a larger flood of launch players than I expected, but it seemed like that initial wave passed through pretty quickly. Say what you will about Cryptic, but I do like their single world architecture. Not only do you not have to play the server-coordination game with your friends, but there’s also no drama over server queues or merges. For such a new game, not quite a year old yet, STO has made a lot of improvements. Cryptic has added a diplomacy system (months before I expected them to), several new sectors of content, revamped the crafting system (twice, although more work needs to be done on it), updated sector space, done two month’s worth of weekly episodes, and done an excellent job of following through on their promises of transparency with their Engineering Reports. They’re also close to releasing a user-generated content system, the Foundry. Of course, Cryptic has caused a lot of drama and made a lot of mistakes this year as well, but I have to give them credit for their responsiveness. The Star Trek team has been especially good at gathering community feedback and then acting on it. Daniel Stahl has done an excellent job since taking over as Executive Producer, and I’m very optimistic about the future of the game. Even with all the new information this year, my expectations haven’t changed much. I like the emphasis on story. Going fully voiced will be an interesting experiment to see how players react and the impact on adding content. I’m sure I’ll buy this even if I don’t subscribe past the first month just to see for myself how Bioware did. Besides the original Knights of the Old Republic was one of my favorite games on the first Xbox. One thing has changed though, I’ve been surprised about how poorly Bioware has managed the hype for the game this year. In 2009 they’d been doing an excellent job of keeping people excited for the game without letting community expectations get unreasonable. I can’t say the same about Bioware for 2010. It seems to me like the backlash I was expecting to follow the game’s launch has already started. My expectations for Cataclysm were set at “wait and see.” That was where they stayed right up until the expansion launched. Despite my general lack of enthusiasm, I did end up buying it. I blame Twitter. I played through the Dwarven starting zone again (up to level 11) to see what the old world was like now and came away pretty disappointed. It was different, but it was just streamlined a bit and not the Azeroth shattering new experience I expected. I also started a Worgen Mage and I’m about halfway (just judging by levels) through their starter area as well. I have to say, it’s fun so far but it’s not living up to the hype. That’s the tricky part of this. There’s a lot of hyperbole out there about how amazing Cataclysm is and how fantastic the new zones are, and I don’t think that the game lives up to it’s reputation. Who knows, maybe I’ll change my tune once I finish the starter area. December just hasn’t been a good month for me to spend enough time with any MMOs. 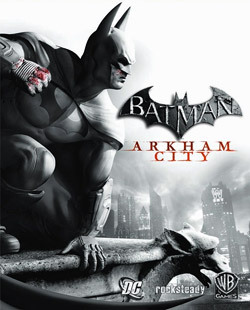 DCUO was supposed to release in November, but SOE pushed it to the beginning of 2011. I think this was smart for two reasons: Cataclysm was scheduled for December (duh) and they listened to the feedback from their beta testers (something more developers should do). I said back in January that I would wait until I’d had a chance to beta the game and make a decision close to launch of whether or not I’d play it. Well both of those things have happened, and I’ve decided to give it a pass. The reasons for that decision deserves a more in-depth treatment than I want to go into just now, so let me just say that there’s nothing that DCUO does for me that I can’t already get from playing either Champions Online or Arkham Asylum. Whew, what a year it’s been for LotRO and Turbine. It started out as my favorite MMO. I was (and still am) in a great Kinship (which it still is) and was having lot’s of fun in the game. Then came June 4th and the Free-to-Play bombshell. I was completely blindsided by the announcement. Maybe it’s because I played on Landroval, which was always one of the most populated servers, but I had never considered the possibility that Turbine would go the DDO-route for the game. Eventually, after the shock wore off and I was able to look at the details, it really didn’t seem like the F2P change would have a huge impact on my playing experience. Unfortunately, that didn’t turn out to be quite correct. My minute to minute playing experience is mostly the same as it ever was, and I’m not paying any more to play the game than I was before, but the level of store integration into the UI really started to get to me. Between the alert that shows up anytime I do something that earns Turbine Points and all of the little gold buttons that link to the store (of which there are three on the crafting panel alone), I’ve found that my interest in logging in and playing as dwindled down to nearly nothing. I was doubtful that I would still be subscribed to EVE by the end of the year. I did end up stopping the subscription on my second account, and would have canceled my primary except that it renewed before I got around to it. That’s not totally a bad thing as I’ve continued to train skills (towards no particular goal) and I’ll get a chance to try out the new character portrait generator when it comes out. Regardless though, I’m definitely letting the account lapse in March when the current six month cycle is up. My plans to have this be my other primary game besides LotRO turned out to be true until I go my first hero to max level in March. After that, I played with some alts and returned for the Serpent Lantern Adventure Pack, but my playtime has dwindled down quite a bit this year. I have to be in a certain (rare) mood to enjoy re-experiencing content, so once I’ve been through the game once my playtime almost always declines (which is true for me in all MMOs). Mass Effect 2 was my favorite console game of the year. Great story, great graphics, and much improved combat over the previous game. Red Dead Redemption was my second favorite console game, and one I almost missed. I hadn’t paid any attention to it at all until Scott from Pumping Irony asked me if I was getting it. I’m glad he did, because it turned out to be a really good game and the first Rockstar game I’ve ever finished. Star Wars: Force Unleashed wasn’t new but I’d skipped it on release because of poor reviews. I ended up picking it up after news that a sequel was going to be release, and it turned out to be surprisingly good. So good, actually, that I was able to add it to my very small list of completed games. Ironically, based on several trusted sources, it seems like the sequel is a stinker. That’s too bad, but at least it got me to buy the first one. Spider-Man: Shattered Dimensions turned out to be a disappointment. The game was way more linear than I wanted it to be and has ended up in my limbo games stack. These are games stacked up next to my 360 that I feel I should finish but probably won’t. Fable 3 was also a disappointment and will likely be joining Shattered Dimensions in limbo soon. It’s really too bad considering how much I loved playing Fable 2. I’ve played and enjoyed a lot of PC games this year, most of them acquired via Steam sales, but the stand-out PC game for the year for me has been Minecraft. I’m still surprised by how much I enjoy this game. I’m usually a shallow gamer. Good game-play is important of course, but no more so to me than the good graphics. Generally when a sequel to a game comes out I stop playing the older version, even if I don’t enjoy the new version as much, because it just looks better. What can I say. If you qualify as a Crafter or Explorer personality type, you owe it to yourself to give it a try. If you do end up liking it, come check out the multi-player servers I’m running.